(Toronto, Ont.) The future of wheelchair basketball looks very bright as the next generation of stars representing 12 national teams hit the hardcourt in front of an energetic, sellout crowd on Thursday for the official opening of the world championship for junior men at the Mattamy Athletic Centre in Toronto. The International Wheelchair Basketball Federation (IWBF) Men’s U23 World Wheelchair Basketball Championship runs June 8-16, 2017 and features the top junior male players from around the globe representing Australia, Brazil, Canada, France, Germany, Great Britain, Iran, Italy, Japan, South Africa, Turkey and the United States. “It is my great pleasure to be here for the return of the Men’s U23 World Championships, where it all began 20 years ago,” said IWBF Secretary General Maureen Orchard. “At that time, I was president of Wheelchair Basketball Canada and since then it’s been a privilege to be able to witness the tremendous growth of junior programs across the world for our sport. We have gone from seven countries participating to now having over 40 countries throughout the zones attempting to qualify for the 12 spaces available. The hometown Canadian side is in pursuit of a third podium finish at the world championship, having captured back-to-back gold medals in 1997 and 2001. The event returns to Toronto in time to mark the 20-year anniversary since Canada hosted and won the inaugural world championship for junior men in Toronto in 1997. 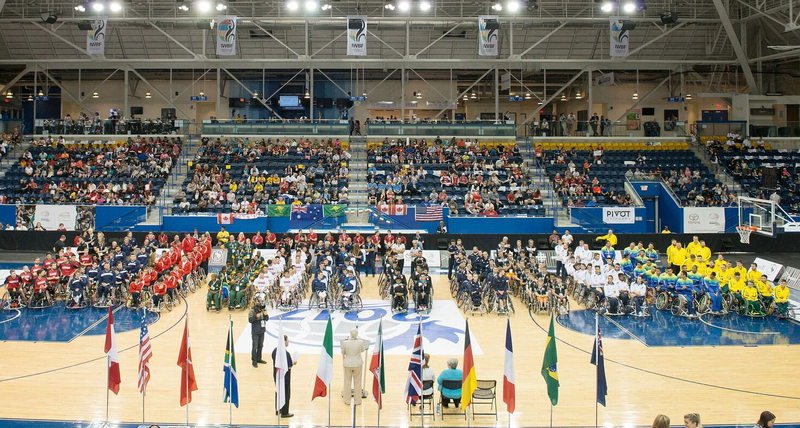 Fans in Canada and around the world are invited to experience sport that moves them to the edge of their seats as they witness the elite skills and athleticism that make wheelchair basketball a highly competitive and exciting spectator sport. All 42 games of the competition will be webcast live online through the official tournament website at www.2017u23wwbc.com. Tickets are also on sale online and at the Mattamy Athletic Centre box office.